Read the latest studies and reports from the world's best known business analysts. Salesforce has been a Leader in the Gartner Magic Quadrant for SFA twelve years running. 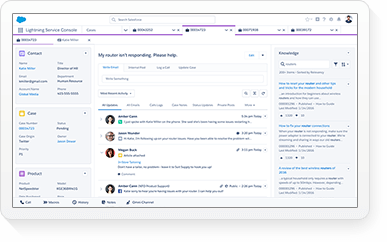 Salesforce named a Leader in the Gartner Magic Quadrant for CRM Lead Management, September 2018. Gartner names Salesforce CPQ a Leader in the Magic Quadrant for CPQ. 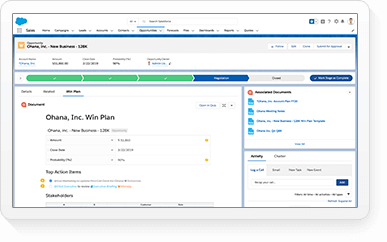 Empower your sales teams to close deals faster with Salesforce CPQ. We’ve been named a leader for 10 consecutive years. And this year we’re positioned the highest for ability to execute, and furthest for completeness of vision. See why. For the third year in a row, Gartner has recognized Salesforce as a Leader in the Magic Quadrant for Digital Commerce. 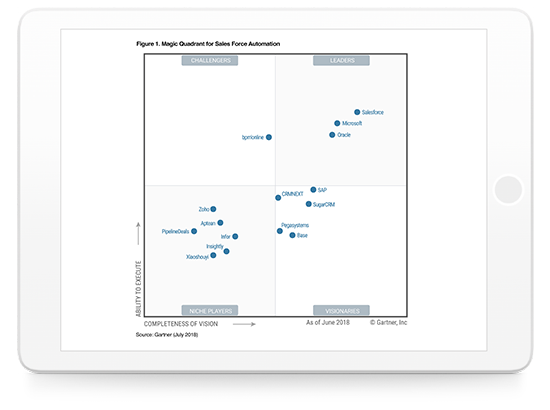 Gartner Names Salesforce a Leader in Magic Quadrant for Enterprise High-Productivity Application Platform as a Service. See why Forrester named Sales Cloud a leader — and how we received the highest score possible in the category of market presence, as well as in the criteria of product strategy, delivery and extensibility ecosystem, sales force automation (SFA), marketing automation, customer service, field service and customer journey support. Salesforce has been named a leader in The Forrester Wave™: Partner Relationship Management, Q4 2018. 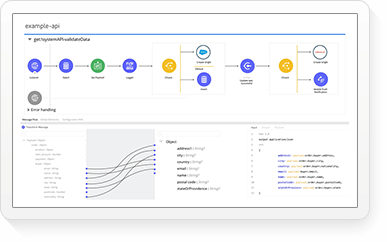 Salesforce is noted for its strength across the board, as well as the integration of advanced Einstein AI and a digital experience platform that allows mass customization. See why Forrester named Service Cloud a leader — and how we received the highest possible score in the reference customer assessment criterion. Salesforce Named a Leader in The Forrester New Wave™: SaaS Marketplaces, Q4 2018. In its evaluation of Salesforce, Forrester gave AppExchange the highest possible score across 8 of 10 criteria. Salesforce has been recognized as a leader in Forrester Research’s recent report The Forrester Wave™: Low-Code Development Platforms for AD&D Pros, Q4 2017. Salesforce has been recognized as a leader in The Forrester Wave: Mobile Low-Code App Development Platforms, Q1 2017. Learn why Forrester Research has named Salesforce Commerce Cloud a Leader with the highest scores in both the Current Offering category and Platform criterion. Get the IDC white paper, sponsored by Salesforce, that shows 3.3 Million New Jobs and $859 Billion New Business Revenue to Be Created from 2016 to 2022. Get the IDC white paper, sponsored by Salesforce, that shows how App Cloud delivers 478% ROI. Salesforce has been recognized as a leader in the IDC MarketScape: Worldwide PaaS and Developer Services 2017 Vendor Assessment. See how HMH is using Wave Analytics to earn a five-year ROI of more than 200% and will break even on its investment in less than one year. IDC reports that the Salesforce platform has become the primary interface to integrate with other major enterprise applications. Learn how can marketing and sales work together to influence and improve the customer experience when the prospect is in the driver’s seat. Did you know that consumers are willing to pay 6% more for products from socially responsible companies? A new Nucleus report shows how corporate giving programs enable organizations to support their brand, sustain customer loyalty, and recruit and retain talent. 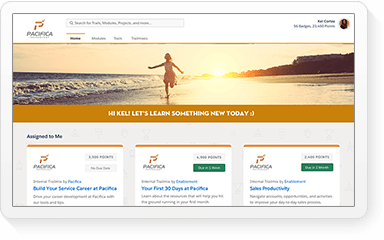 Nucleus positions Salesforce as is a CRM leader in usability and organic functionality across sales, marketing and customer service. See how an American bedding manufacturer, Matouk, streamlined their operations by increasing staff productivity, customer service productivity and marketing automation -- resulting in a 223% ROI over just six months. Read this report and learn why ROI on analytics solutions deployed to the cloud is higher than solutions deployed on-premise. See how Shazam uses Einstein Analytics to drive ROI, increase employee productivity and retain existing customers with the new Nucleus ROI Case Study. HD Supply Facilities Maintenance deployed Sales Cloud to support its growing sales organization and provide managers with greater visibility into its sales pipeline with an 750% ROI. Adding social and mobile access capabilities to CRM increases productivity of sales people by 26.4%. 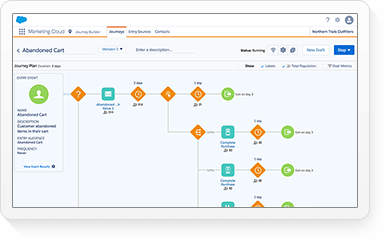 Wind River deployed Salesforce Sales and Service Cloud in order to replace an older system with limited functionality and on-premise constrictions. 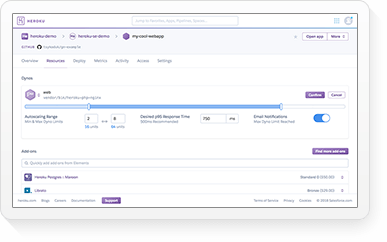 Activision integrated Salesforce Social Studio with its Service Cloud. The city of Elgin, IL, deployed Service Cloud with Knowledge Base, Chatter and Community Cloud to streamline the functioning of 19 departments and a 311 system for non-emergency issues and requests. Flexera Software deployed Service Cloud to streamline and consolidate their customer service and support process for greater visibility across customer relationships for an an 100% ROI. 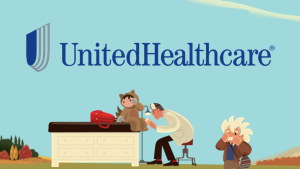 Get the numbers behind Piedmont Healthcare’s successful partnership with Marketing Cloud. 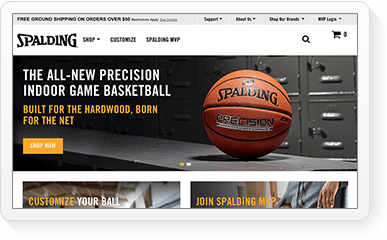 See how they achieved an 83% increase in ROI, higher open rates, clickthroughs, and more. Room & Board achieves an ROI over 2875% from its relationship with Salesforce Marketing Cloud. Learn how financial cooperative Amplify Credit Union achieved 1079% ROI in just 16 weeks through its use of Marketing Cloud. 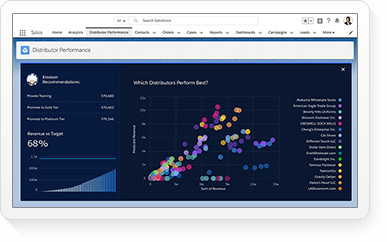 Nucleus Research predicts Salesforce Einstein Account-Based Marketing will raise the bar for ABM providers and help marketers improve integration and collaboration with sales. See how Pepperdine University improved the student experience with institution-wide CRM with Salesforce. 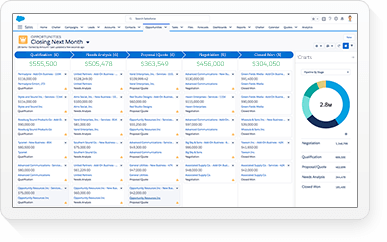 Salesforce is a Market Leader for the second time in a row in communications industry-specific CRM. Ovum highlighted our strength in unified omnichannel customer experience delivery, social and mobile channel functionality and the partner ecosystem. 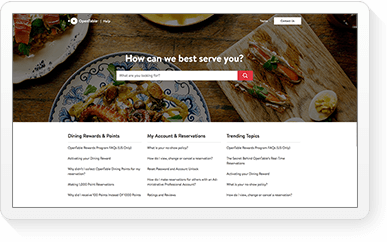 See how community interaction can improve the overall brand or business experience by providing a self-service, peer-to-peer resource that empowers customers to take action before it hits public forums. 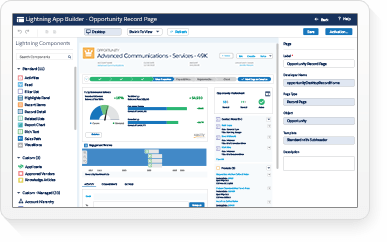 From 2009–2012, salesforce.com was positioned as a leader in the Magic Quadrant for CRM Customer Service Contact Centers and from 2013–2014 Salesforce was included in the Magic Quadrant for the CRM Customer Engagement Center as salesforce.com.